A few days ago, I received an email from my friend HelenJonsen about a fundraising effort that is very near and dear to her heart. Helen and her family are volunteering for the 3rd Annual Hope & Heroes Walk to show their support for the clinic that helped her own daughter, in her journey with cancer. Taking place on April 29th, 2012 in Manhattan’s Clinton Cove Park, this fundraiser is to help ensure that the unique clinical care programs and cutting edge research funded by Hope & Heroes will continue. While the cancer center had been accepting donations for the purpose of supporting the innovative programs started by its director, Dr. Michael Weiner, the effort had finally been given a name. But, it wasn’t until 2002 when Hope & Heroes filed for a 501(c)(3), giving this charity an official stamp. According to Jeremy Shatan, the acting Executive Director of Hope & Heroes, the clinic sees about 100-150 new patients each year and about 5,000 – 7,000 total patient visits. This number includes patients who are currently receiving treatment as well as those who have recovered but are still being monitored. The money donated to Hope & Heroes Children’s Cancer Fund is used, in part, to finance many special programs that would otherwise be impossible. Benefitting both the young patients and their families, these programs include the use of complementary medicine folded in to an often harsh regimen of surgery, chemotherapy, and/or radiation. In addition, Hope & Heroes also helps to provide emotional counseling to those in need, as well as allow these young cancer patients to participate in translational research studies, which opens the possibility for novel treatments. The Hope & Heroes Children’s Cancer Fund has forged a permanent place in the hearts of many, including Helen and her family. We at Double X Science find this effort to beyond a “good deed.” Please show support for this organization by donating. Because you never know when a kid will need it. 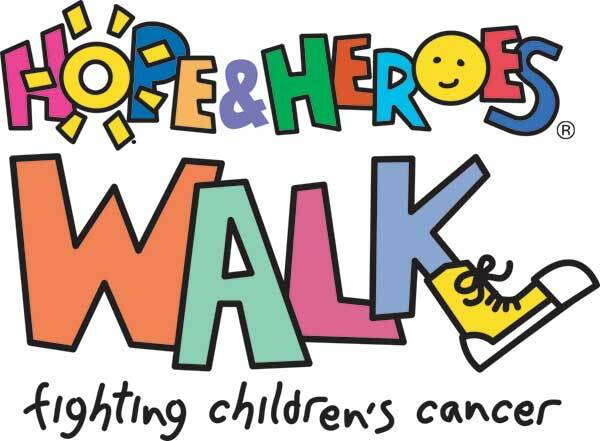 To donate to the 3rd Annual Hope & Heroes Walk, go here.